Go to Settings –> Processes and define a new Action. When you are done, activate it. The Action’s only output parameter is the Lead record URL. 1. 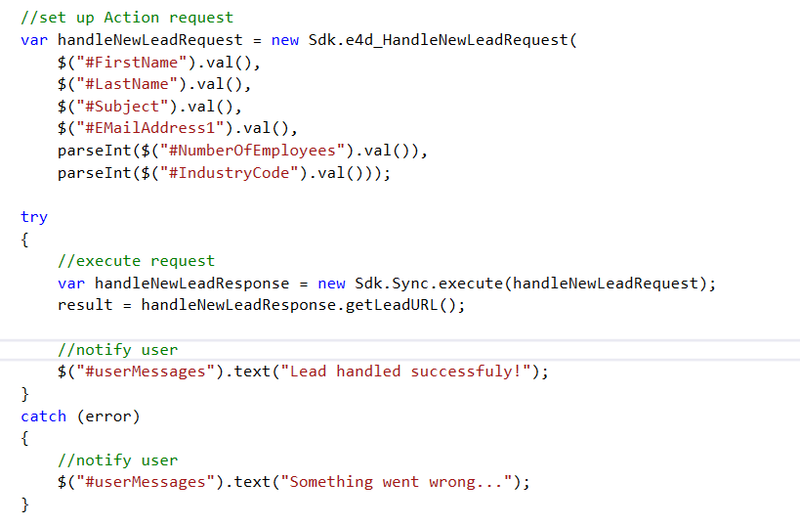 Add Sdk.Soap.min.js and your Action minified file into your MSCRM Solution. My Solution prefix is ‘e4d’. Make sure you deploy the minified files in your Solution while using the .vsdocs version in your IDE.